A widely recognized author, writer, researcher, and presenter, Sayer Ji is the founder of GreenMedInfo.com, the world’s most widely referenced and trafficked natural health resource. The site’s uniquely evidence-based content has received more than 100 million page views and attracted 50 million visitors since its inception in 2008. This year alone, it has received 28 million page views and almost 6 million users. None of this is paid traffic. 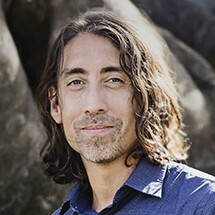 Sayer’s reputation as a thought leader and authority in the health and wellness education field has made him a highly sought-after speaker, adviser, consultant, and partner in various educational, activist, and business-related projects. His network of affiliates has a combined email reach of more than 10 million, and a fan reach of 25 million on Facebook. The GreenMedInfo newsletter generated over 100 million emails in the past 12 months alone.